She added that her grandfathers on both sides died young, leaving their families without coverage. One of her grandmothers eventually had to sell off most of the family farm to support her five children. These horror stories are all too common. Someone dies unexpectedly and his or her family members are not only devastated emotionally, but in time, become so financially. The absence of a primary wage earner leads to savings running out quickly, cars getting traded down and in the worst case scenarios, homes and property being sold to pay off debt. Life insurance, having the right kind and enough of it, can prevent these disasters. Most of us understand life insurance is important, a whopping 86 percent, according to the 2016 Insurance Barometer Study. Yet, few other findings gleaned from the report are as equally reassuring. People know they need life insurance, but only three out five Americans actually have it. Nonprofit organization Life Happens funds research that reveals our financial priorities. Twenty-nine percent of Millennials said saving for vacation was more important than buying life insurance. Twenty-three percent of Gen Xers would rather spend their money seeing a movie, shopping or eating out. It’s not the ignorance of youth that’s guiding our decisions either. Nearly half of people 65 and older said their Internet, cable and cell phones bills take precedent over investing in life insurance. Yikes. Life Happens was formed in 1994 by seven insurance producers to educate the public with campaigns like Life Insurance Awareness Month. It’s fitting it happens in September. With summer ending and school beginning for many, it’s always felt, to me, like a good time to revisit and re-prioritize your professional, financial and personal goals. My advice to people, young and old, is to spend some time thinking about the end of your life, no matter how unpleasant or far off it may seem. Life insurance is usually pretty inexpensive and staying at a healthy weight, tobacco-free and in control of chronic illnesses can make your premiums even cheaper. If you have a good driving record, credit score and don’t engage in extreme sports such as race car driving on a regular basis, you’ll save even more. If you want to know how much insurance to buy, ask yourself what it’s for. For a young family, insurance payouts will likely go toward replacing the income of the deceased. When deciding on how much insurance you need to buy, take into account future inflation. Interest rates matter too, especially right now since they’re really low. If you had a million dollar benefit from an insurance policy and put it in the bank, you would have an annual income of $20,000 to $30,000. If you need $40,000 to $60,000 to live comfortably, a two million dollar policy is for you. Personal finance website Nerdwallet explores the various formulas out there to help you calculate you and your family’s needs, concluding that you should start by adding up your salary with your current and future financial obligations. That’s mortgage, credit card and college debt, along with funeral expenses and what it would cost to replace a caregiver. Take that number and subtract current savings, retirement payouts and life insurance benefits. For many, there’s a wide gap between what you have and what you’ll need. If you have coverage from your employer, it’s probably term life insurance, and it stops when you retire. Different types of permanent insurance exist, with many products being tied to some kind of investment fund to accelerate the growth of return if the market permits. Many small business owners buy what’s called “key person insurance” to protect their assets in the event they lose a partner or someone else vital to the company’s bottom line. High net-worth individuals often buy plans they can even use to supplement their retirement tax-free. Whatever plan you choose is up to you, just make sure you get one and the sooner, the better. 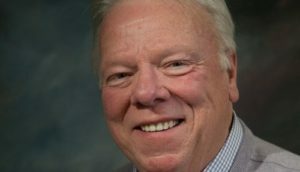 Bill Demaree is president of Demaree Retirement Services.